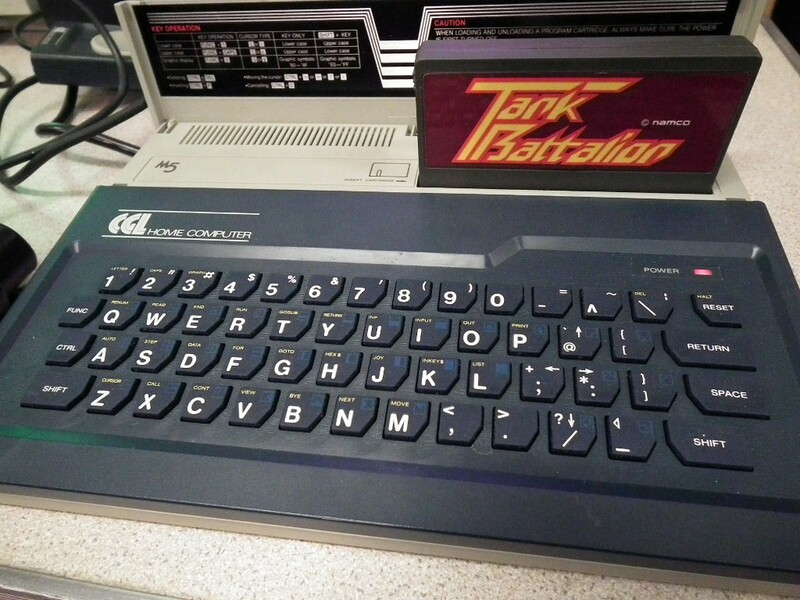 As always, I had a superb day yesterday at the Retro Computer Museum’s gaming day. Early in the morning as systems were checked over one last time in the main hall. 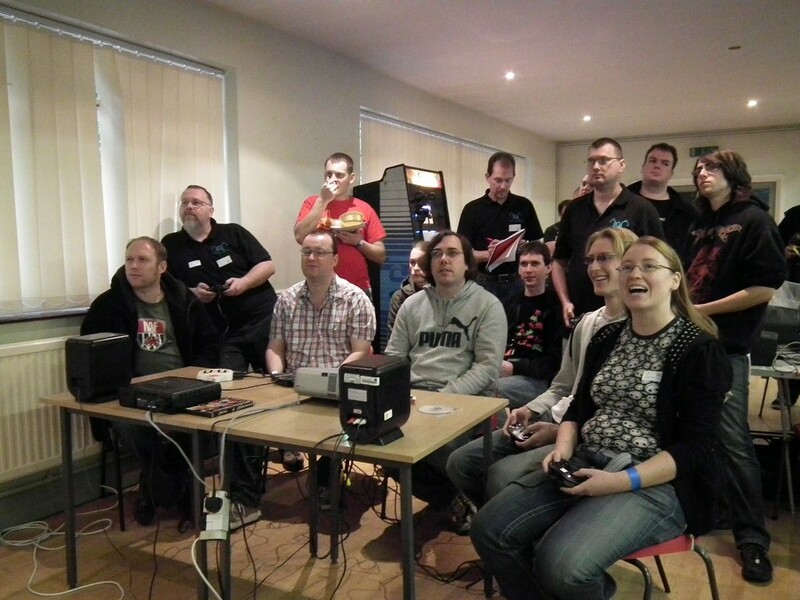 It wasn’t long before each room was jam packed full of eager retro gaming fans. RCM team put together a great collection of vintage systems like the Commodore SX64, Camputers Lynx and this very nice M5 Sord. 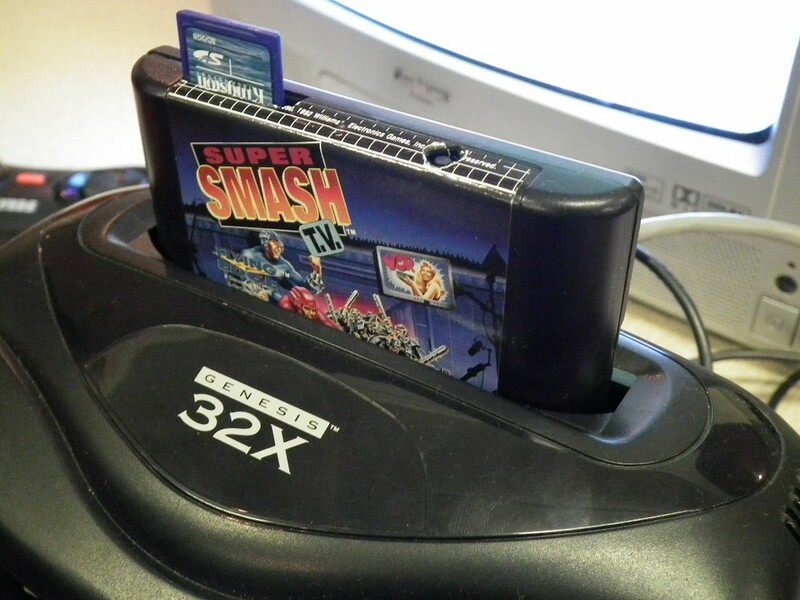 …and some more obscure hobbyist hardware like the ‘Everdrive’ flash cart for the Genesis allowing images (including 32x) to load from SD card. 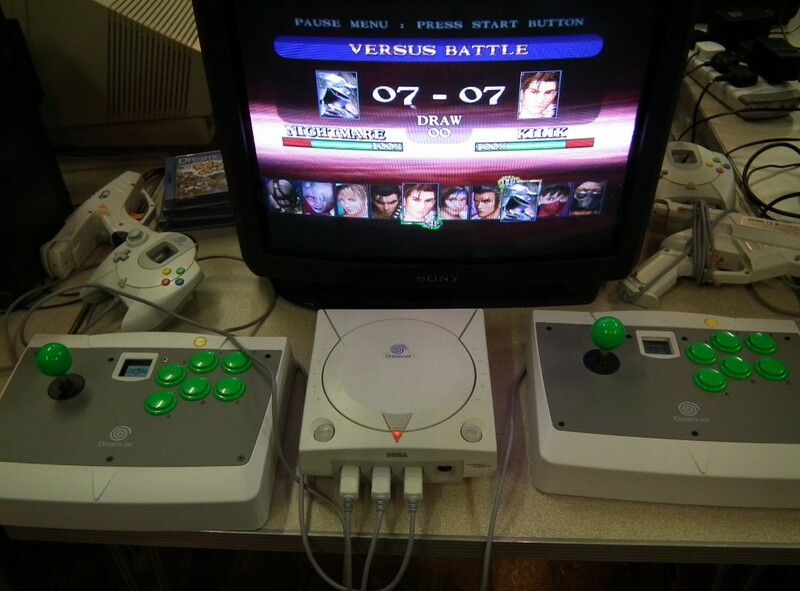 -to the more rescent with the Sega Dreamcast with twin arcade sticks. 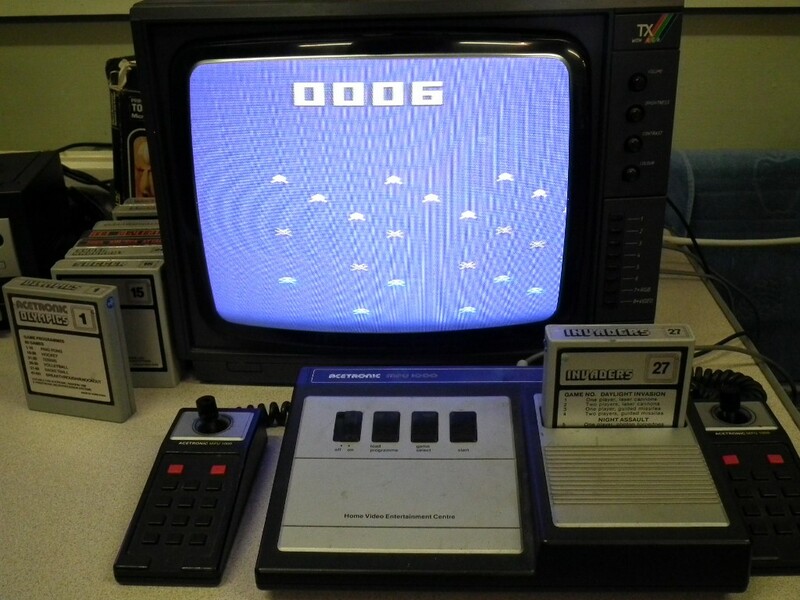 I spent quite a lot of time with this one and round after round of Soul Calibre. 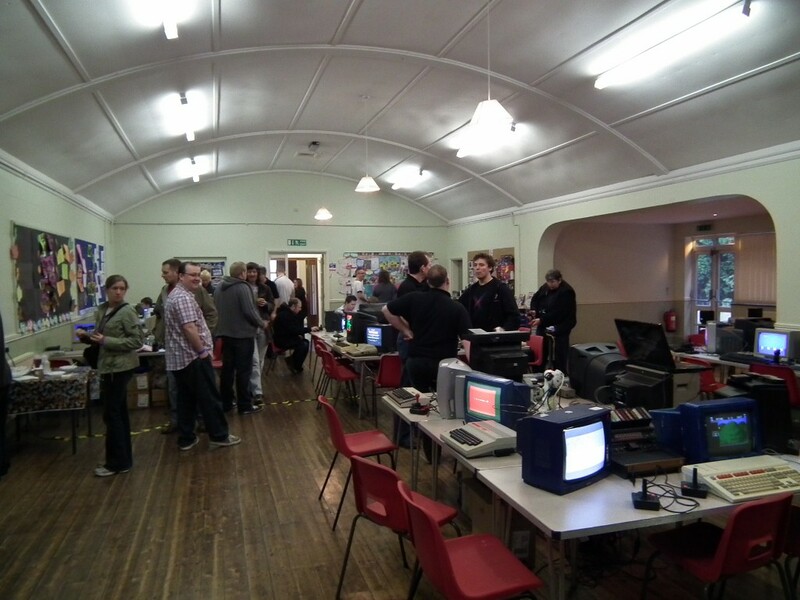 My own C64 ITX PC drew a bit of interested and lots of folk dropping by to ask me questions and advise on their own similar projects. 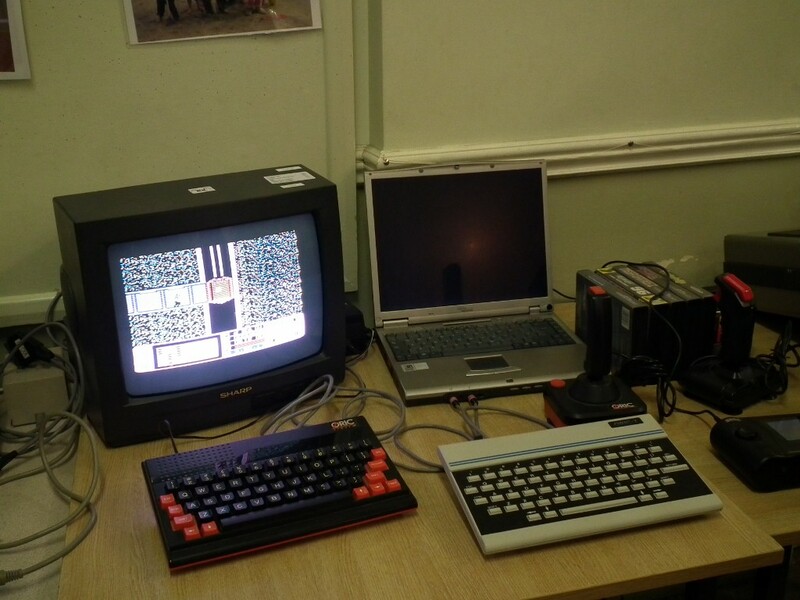 Both Oric -1 and Oric Atmos were primed and ready to spend some quality time with. 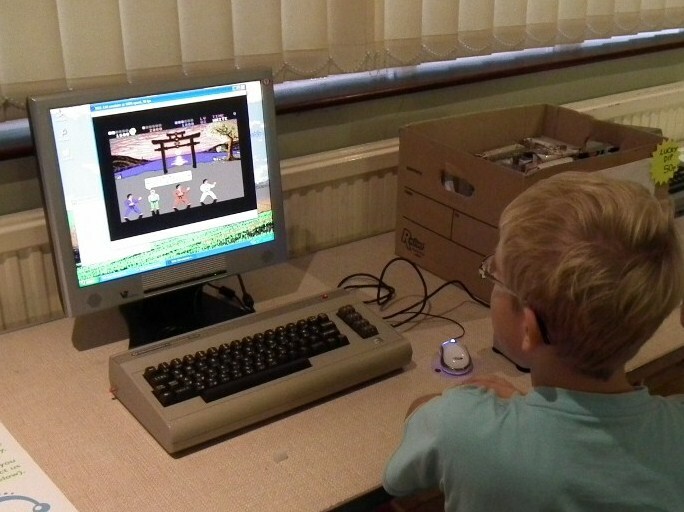 The Atmos was playing a conversion of the C64 classic Impossible Mission which was released only a few days ago, proof that this little machine is still loved by many. More competition with the every popular Bomberman tournament. This time around, 4-up was replaced by and epic 10-up battlefest. 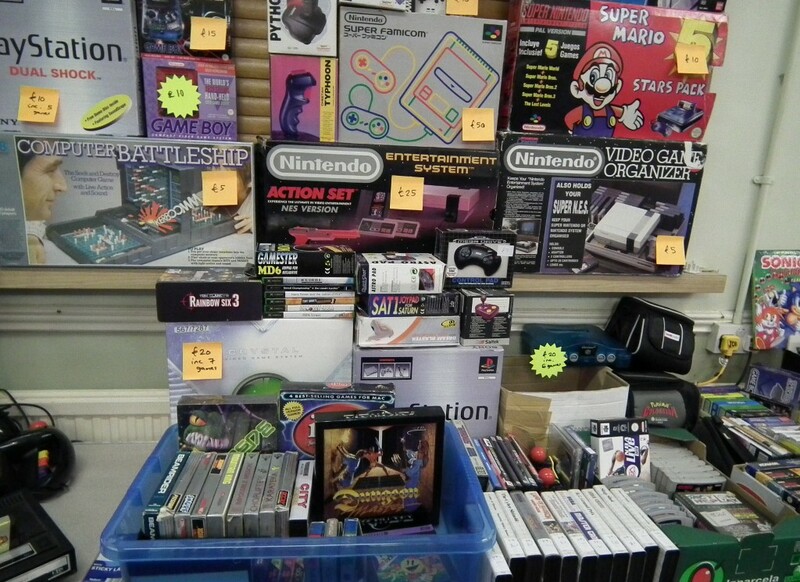 More retro goodies on offer and I managed to pick up a few bits for my collection. Roll on next weekend and R3play! 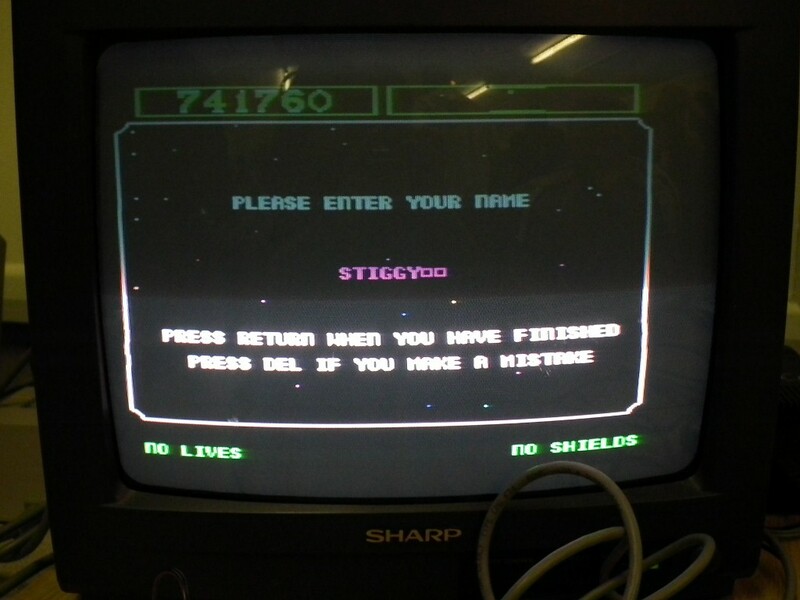 This entry was posted in Retro Computer Museum and tagged retro gaming events. Bookmark the permalink. Wow, I love these kind of events. Hope you had some fun mate. Any interesting buy? I mainly picked up some of the early release games for the PSX, Like WipeOut, Tekken, Destruction Derby etc and forgot how much fun these titles are. Wished I’d picked up the very low priced NES now as I’ve become hooked on Punch-out and Mario 3 again. Seem to recal my own NES is lying someone in my parents loft so will have to venture up there the next time I’m visiting. This weekend should be good at R3play. Looking forward to even more gaming and meeting some of the coders of yesteryear (and hopefully getting a few items signed). Pics and maybe video to follow.